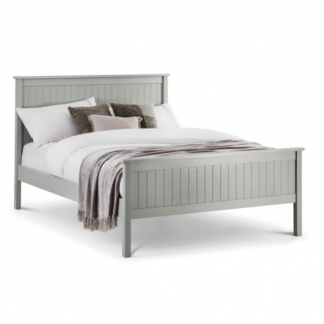 Julian Bowen Maine Bedroom | Best Price Promise. 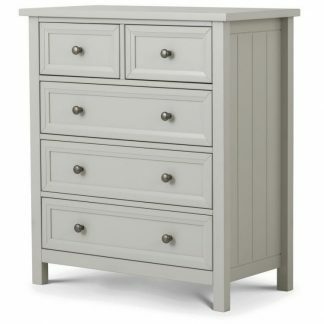 The Julian Bowen Maine bedroom collection is finished with a lovely dove grey paint and a lacquered top coat. 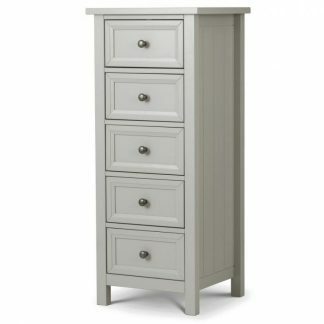 It has New England style slatted side panels on all of the items, giving it a timeless appeal. 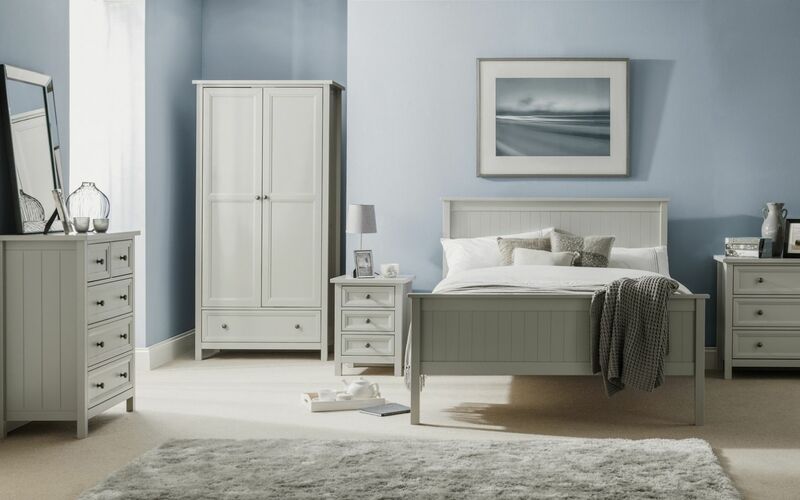 The Julian Bowen Maine grey bedroom furniture range consists of a 3 door wardrobe, 2 door wardrobe, 6 drawer wide chest, 5 drawer tall chest, 3+2 chest, 3 drawer chest, a 3 drawer bedside and a bed which is available in three different sizes. 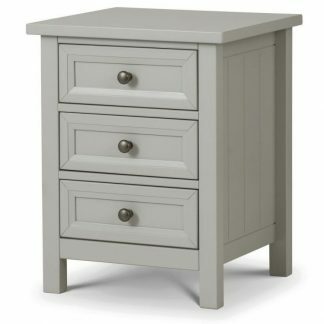 All items within this furniture range will be delivered flat packed and ready for self assembly, with easy to follow instructions. 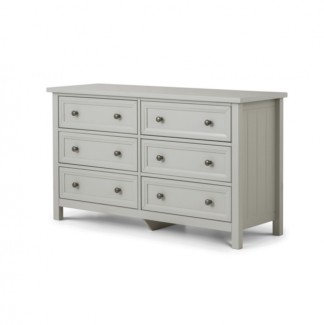 All items in the Maine range are made from solid pine and MDF. Delivery: Delivery is free on UK mainland and is booked in with the customer 48 hours beforehand. AM or PM slots are given. The delivery team will call 30 minutes to 1 hour before delivery. 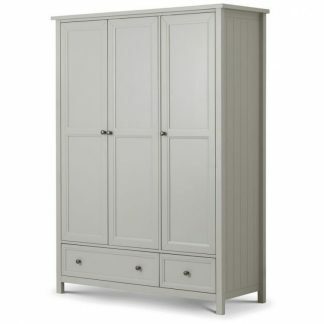 Please allow seven to fourteen working days for delivery of your new Maine bedroom furniture. 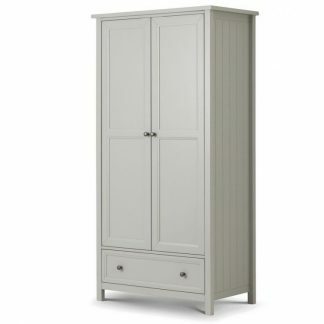 All items that you order from us will be delivered into your room of choice by a two man delivery team.